Ends, way, means - your name means nothing on the battlefield. Out there you’re merely a soldier o.. So many bolts, so little space…such is the problem that has plagued man through the years. But pla.. Simplicity is the ultimate sophistication. No branding, no graphics, no bull – the Airflite G.. They say shallow men believe in luck and strong men believe in cause and effect. The Airflite Good.. Deep inside a desert burial mound you find him, the all-powerful god of mountain and earth. It is ..
Too fast for love. The Airflite now joins the ranks in our Quicksilver ICON Helmet series. Th.. The perfect darkness of an anti-cosmic void, the Airflite Rubatone takes the “silence is louder th..
Picture it: Portland, OR, 2005 - a myriad of conservative motorcycle helmets overrun the market an.. Here at ICON we always like to keep a skull or two in our helmet quiver. 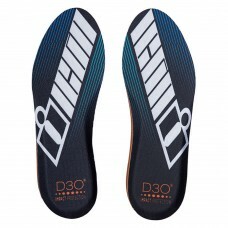 It keeps us honest, and i..
ICON D3O CoMFORT INSOLES! make your feet happy. D3O's patented IMPACT PROTECTION is best known.. Instead of carrying extra FliteShield™ for changing light conditions, with the flip of a switch, en..
ICON's FliteShield™ is designed to fit all Airflite helmetsWith 10 Amazing Color, Your Airflite helm..